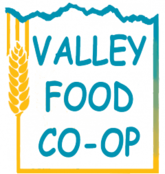 Valley Co-Op is a cooperative company for farm- supply based in south central Idaho. The company serves both the customers in rural and urban regions. The story of Valley Co-Op begins with the merger of Wendell grange Supply and Idaho Grange Co- op in 1991. The origin of both cooperatives however dates back to 1930s. The company has grown extensively since then and currently it has sales volume of over $70, million with an employee population of over 90. Valley Co-Ops offers a wide range of products and services which include lubricants, refined fuels and propane. It has 7 stores located throughout the region and they offer products and services such as livestock equipment, retail fuel pumps, animal health, hardware and feed. There are currently 0 consumer reviews about Valley Co-Ops available. Share your review. Please take a note that you are about to post a public review about Valley Co-Ops corporate office on CorporateOffice.com. This review will be public, so please do not post any of your personal information on this website. If you would like to contact the corporate offices of Valley Co-Ops, please use their contact information such as their phone number, website, and address listed above to contact them. However, sometimes staff from Valley Co-Ops headquarters do read the reviews on this website.